How should you define “success?” As fathers, it isn’t an easy answer. Alan is a very successful businessman. Recently he was asking a ton of questions about his life and his family’s routine. It started when his stomach started complaining. You may know what that’s like. He found himself eating leftovers or grabbing fast food most evenings, and he wished he could have more home-cooked meals. But it was actually more than just tummy troubles. His wife is very successful in her career too, so they had all the money they needed. And she loved her job, but that also meant they were all very busy. They ate very few meals together as a family, and that was what Alan really felt they were missing—that regular family interaction. He also wondered about the true state of their marriage. He felt disconnected with his wife. They almost never gave each other focused attention. It felt more like trying to squeeze a marriage here and there between other commitments. Plus, the well-being of their children was at the top of his mind. With Alan and his wife busy at work, who was really raising their children? They knew their kids were safe and healthy, but did that really line up with their top priorities? Is that really what they wanted out of life? Dad, have you gradually settled into a lifestyle that’s more about work routines and obligations and a never-ending calendar of kids’ activities, and less about what’s best for your marriage and your children? Here’s another great question Alan was asking: How much is enough, and how much do we really need? We are in families for good reasons. When families are together and well-connected, it solves all kinds of potential problems. And too many people are thinking that money, ambition, technology, or reaching a certain level of achievement can fill that void. Dad, is life all about work obligations & a busy kids’ calendar? What’s best for your family? If you have a deep longing, like Alan does, to be more connected as a family, take a deep look at what you’re doing and whether you need to make a change. Alan’s story is still being written. And so is yours. Dad, do you struggle with similar issues in your home? How do you address them? Please leave your feedback either below or on our Facebook page. It just might encourage or help another dad. 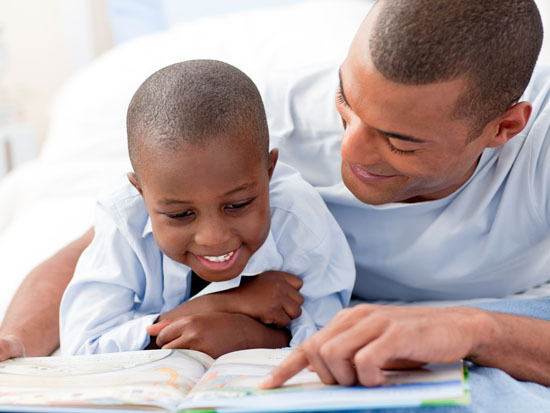 NCF is a nonprofit organization seeking to improve the lives of children and establish a positive fathering and family legacy that will impact future generations by inspiring and equipping fathers and father figures to be actively engaged in the life of every child. You can sign up for NCF’s Today’s Father Weekly email here.